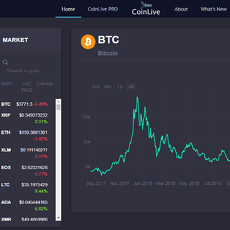 Ccowl is a neat little information based tool focused on crypto and blockchain that displays tons of handy information in a neat and easy to read display. Upon visiting the site, you’ll immediate see several bits of data. 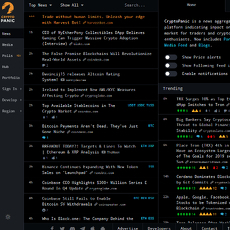 This is an alert section showing how the ranks of very crypto has changed in the top 25. 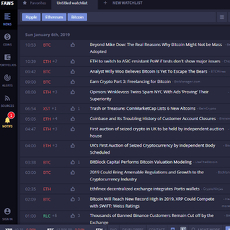 This tool monitors the top 25 coins for major spikes and displays that data here. 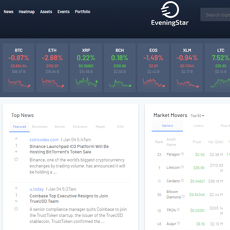 This tool helps users visualize the top 25 coins hourly changing rates. 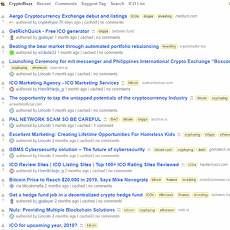 After scrolling past those, you’ll find a display similar to the popular coinmarketcap.com. 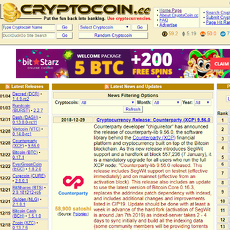 This is simply a ranking list of coins and all of the data related to them. 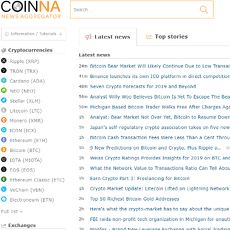 Scrolling past that, you’ll find the latest news section where the site aggregates all crypto news across hundreds of sources and displays them here. That’s pretty much it. 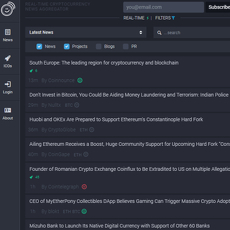 A handy little tool for monitoring the latest action and news in the crypto world is all this website was built to do! It’s easy to navigate and has a great display. 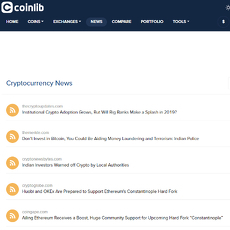 I recommend it as one of the top crypto aggregators available today! 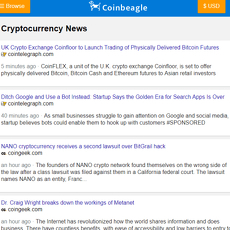 This aggregator website is just so well designed that I wish it encompassed features of all of my favorite aggregator sites. Unfortunately it just doesn’t have enough functionality that would cause me to come back daily.